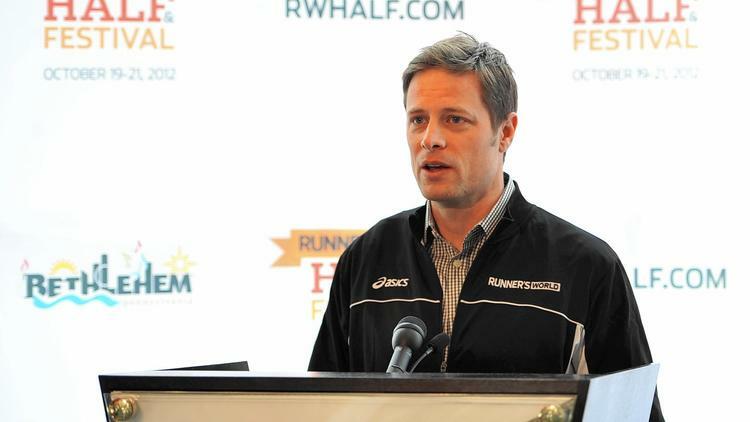 You may know David Willey as the longtime editor-in-chief of Runner’s World magazine—he’s been at the helm of this publication for 14 years—and as the host of the popular Runner’s World Show podcast. 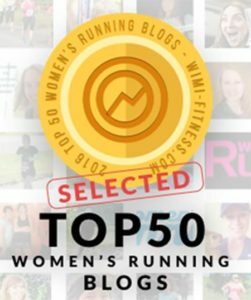 It was while listening to an episode of this podcast, during a wintry training run this winter, that I learned David would be training for a spring marathon, a 26.2 at which he hoped to finally qualify for the Boston Marathon. And the race he chose—the Bayshore Marathon in Traverse City—just happens to be my hometown race, the marathon close to my heart in part because it’s where I have BQ’d. 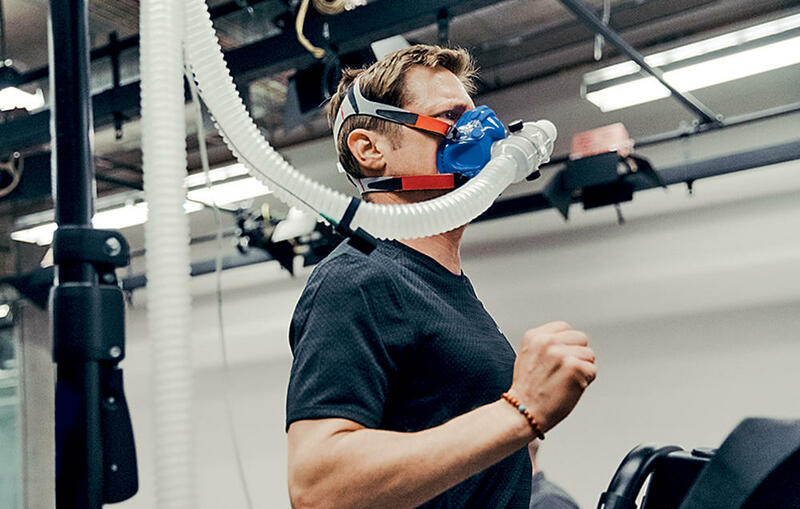 David, testing aerobic capacity on a treadmill at Nike headquarters outside Portland, Oregon, on November 30 of last year. David, who turned 50 this year, needs to run Bayshore in 3:30 to qualify for Boston. On the MRG Show, David and I talk about his early years in Michigan—he was born in Ann Arbor and later lived in Grand Rapids, where he played high school football and other sports—and how he didn’t initially like running at all but eventually fell in love with it in his 20s. We talk about the first marathon he ever ran (the NYC Marathon), the reasons he enjoys life as a runner, highlights of his years as editor-in-chief of Runner’s World, and how he “feels like a new runner,” having worked with a team of Nike experts throughout his training for the Bayshore. David, whose marathon PR is 3:24, achieved in Austin, TX in 2007, has been trying to BQ for the past decade. He shares how it’s been a frustrating experience enduring marathon after marathon that just never panned out as well as he would have liked. He wasn’t planning on running 26.2 in 2017, but the opportunity to work with the team of experts and innovators behind the Nike Breaking2 Project changed his mind. Along with sharing what it’s been like to train with this extraordinary team, David also offers up how he stays motivated in a race—ideas you just may want to use yourself during your next race! We also of course talk all about this month’s Bayshore Marathon—David asks about the course and where to go in Traverse City post-race for a celebratory burger and I give him a few thoughts and ideas. David also talks about his upcoming plans post-marathon (hint: a career change is in the works…) You’re sure to be inspired listening to David’s story and ambitious plans for BQ’ing in, oh, 11 days. Countdown is on for us Bayshore runners! I found myself feeling even more excited about Bayshore—my fourth Bayshore Marathon—during our awesome conversation, and I think you will, too. Many thanks to David for joining me on the show. Good luck at Bayshore, David—I believe it’s going to be just what you hope it to be, the race of a lifetime!